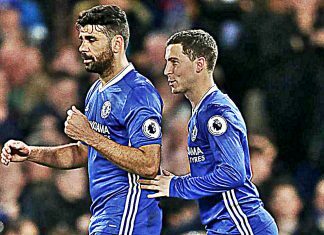 Southampton manager Claude Puel felt Eden Hazard and Diego Costa proved the difference as Premier League leaders Chelsea won 4-2. 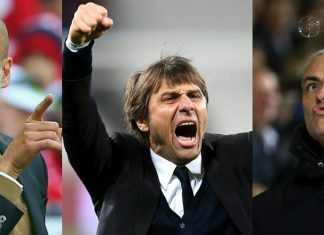 Antonio Conte believes winning the Premier League title would stand as the greatest achievement of his coaching career. 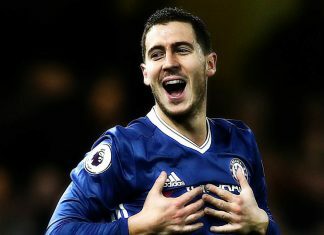 Chelsea star Eden Hazard has revealed talk of a new deal is premature as he continues to be linked with a move to Real Madrid. Didier Drogba has hilariously trolled Arsenal after the Gunners reached the final of the FA Cup to set-up a date with Chelsea. 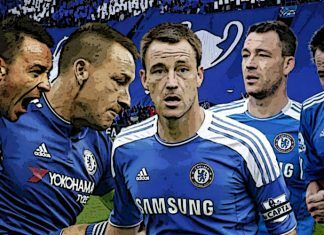 Here are top 10 facts about the legendary Blues 'Captain.. Leader.. Legend' John Terry as he calls it a day on his Chelsea career. 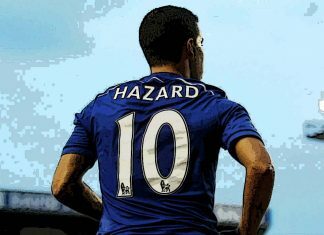 Eden Hazard has revealed that this Chelsea striker might have to make a move away from Chelsea in a bid to "bounce back". Antonio Conte says Chelsea have only a 50-50 chance of winning the Premier League following their defeat at Manchester United. 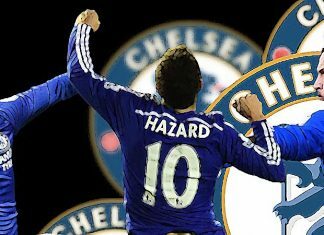 Eden Hazard is in no mood to quit Chelsea, with sources close to the player suggesting that he will reject Real Madrid. Eden Hazard has told his close friends that he will turn down the offer to join Real Madrid in the summer as he wants to stay at Chelsea. 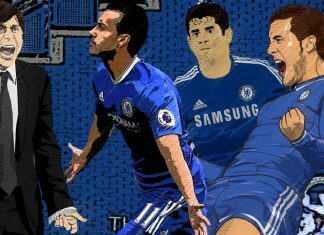 Chelsea legend Frank Lampard insists that Blues star Eden Hazard is the best player in the Premier League. 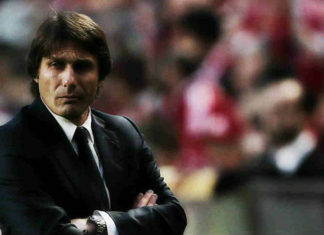 Antonio Conte has called for calm ahead of Chelsea's crunch Premier League clash at Manchester United on Sunday. 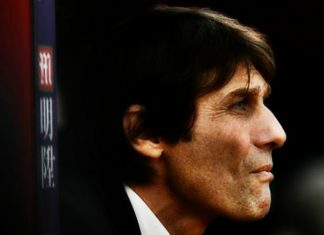 Antonio Conte is committed to Chelsea despite Inter Milan's interest, having led the Blues to a seven point lead in the Premier League. 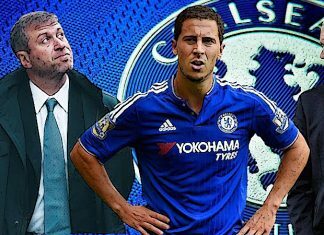 Chelsea legend Michael Ballack, 40, fears Eden Hazard could struggle with the big characters in the Bernabeu dressing room. 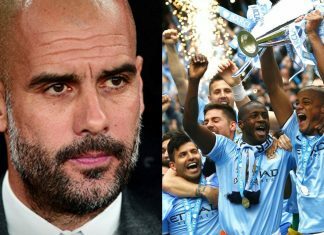 Pep Guardiola says he learns from watching Chelsea manager Antonio Conte, who he says is "maybe the best" in the world. 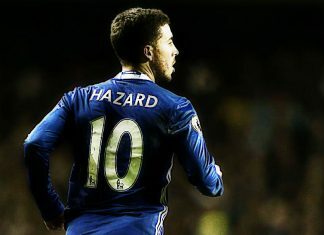 Eden Hazard has hinted he will still be at Chelsea next season, despite Real Madrid's plans to make him their £100 million Galactico. 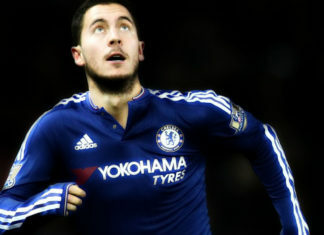 Chelsea winger Eden Hazard says he and his family are settled in London, amid talk he could join La Liga giants Real Madrid. 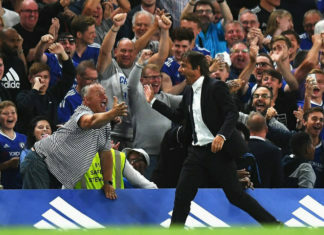 Chelsea legend Ray Wilkins says he will sell his season ticket if Antonio Conte’s side part with Eden Hazard this summer. 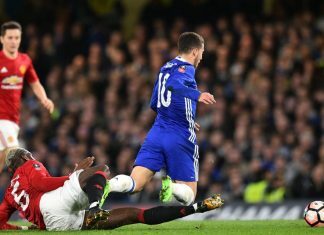 Antonio Conte accused Jose Mourinho’s Manchester United players of targeting Eden Hazard with rough treatment from start to finish on Monday. Eden Hazard has warned Chelsea's title rivals that they have the experience needed to stay top of the Premier League until the end of season. 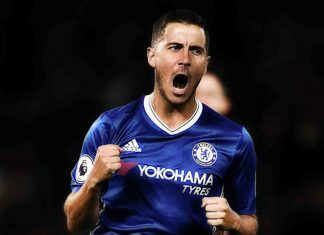 Eden Hazard feels he is enjoying his best period at Chelsea after fighting hard to regain the form that made him a Premier League winner. Eden Hazard insists that he would rather play an amazing game and set-up his team-mates than perform poorly and still score two goals. 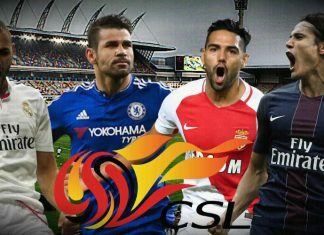 Chinese Super League outfit Tianjin Quanjian made failed bids for Diego Costa, Karim Benzema, Radamel Falcao and Edinson Cavani. 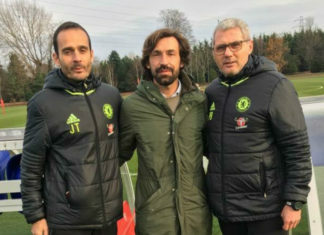 Chelsea fans are requesting Andrea Pirlo to join the club after he visited the Cobham training ground on Friday to meet his former boss Conte. 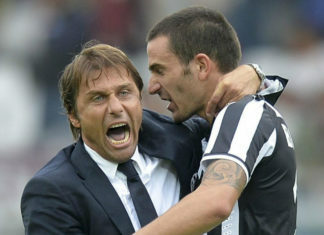 Conte is set to revamp the Chelsea squad with moves for Juventus star Leonardo Bonucci and Real Madrid’s unsettled star James Rodriguez. 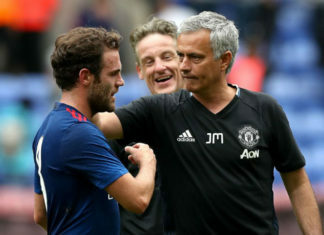 Jose Mourinho has now defended his past treatment of Spanish playmaker Juan Mata and heaped praise on his incredible form. 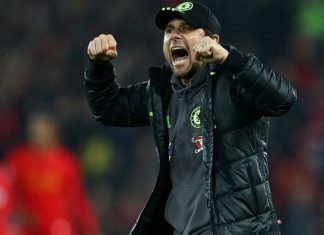 Unexpected but true, new Chelsea boss Antonio Conte heaped praise on his fiercest rival Arsene Wenger ahead of the high-octane derby. 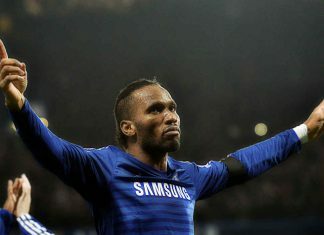 The Chelsea forward has always been in the news for his aggressive behavior and regular bust-ups with opponents in his career. 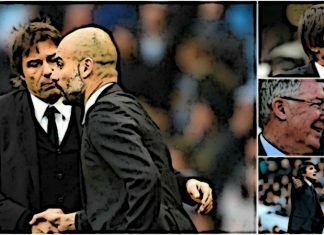 Hazard has been heavily linked with a host of European biggies this season, with Zidane being a huge fan of the Belgium. Former Chelsea manager Jose Mourinho will earn a whooping £15 million per year at Manchester United. Manchester United have announced Jose Mourinho as their new manager. Courtois told a Spanish radio this week that he will be staying at Chelsea this summer 'if nothing strange happens'. 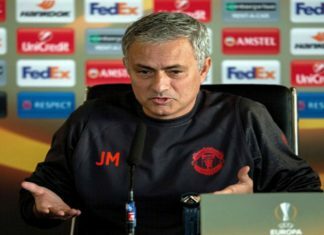 Man U manager Louis van Gaal is likely to face the sack for the side's timid loss to Stoke City over the weekend, with Mourinho speculated to replace him. 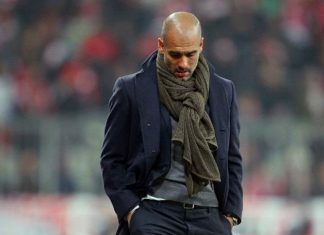 Mourinho's departure comes seven months after he led them to the Premier League title.